A week after setting a release date for his Harverd Dropout album, Lil Pump has rolled out new single "Racks on Racks." 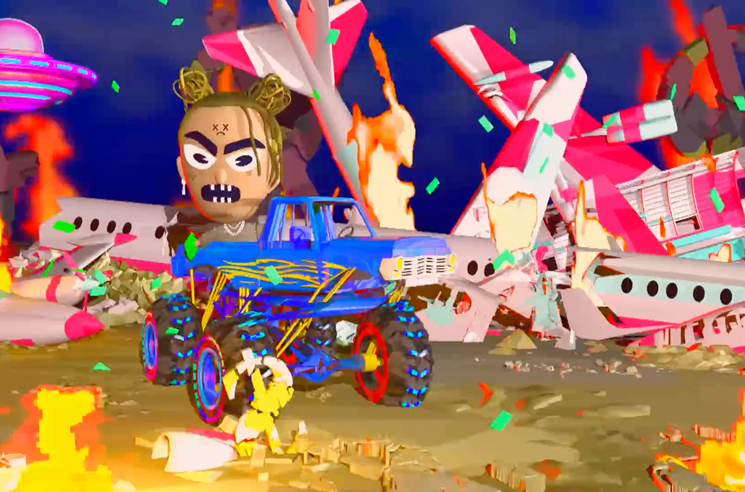 The track arrives alongside a wild music video from BRTHR, which finds Pump flexing in a desert with more jets, models, monster trucks, weapons and video effects than you can shake a stick at. The clip even veers into some Twisted Metal-inspired animation later on, with a big-headed Pump steering his monster truck through a colourful mass of flaming wreckage. You can watch the video below. Lil Pump's Harverd Dropout will arrive February 22.